Doug Wood was most known for creating many of the iconic animated sequences in Half-Life 1, such as the tentacle scene in Blast Pit and many of the character/npc animations, including the headcrab jump. After Half-Life 1, Wood went onto work on many other titles at Valve, like the Left 4 Dead series and he also worked on the animation systems for the Source and Source 2 engines. Big news!! After almost 19 years at Valve I’ve decided to retire. I want to spend more time with my kid (whether he wants me to or not), and do more travelling. Valve has been such an amazing part of my life. I can’t believe how fortunate I am to have been able to work alongside some of the greatest designers, animators, and programmers out there. Seems like just yesterday I started animating headcrabs jumping on scientists in Half-Life 1. I still dream about those little guys… I’m still at work for a couple more weeks, so if you work with me, let’s grab lunch! As mentioned in the post, Wood claims his reason for retiring is to spend more time with his family and to do more travelling. Doug is pictured to the left, in-front of Greg Coomer in the blue t-shirt. 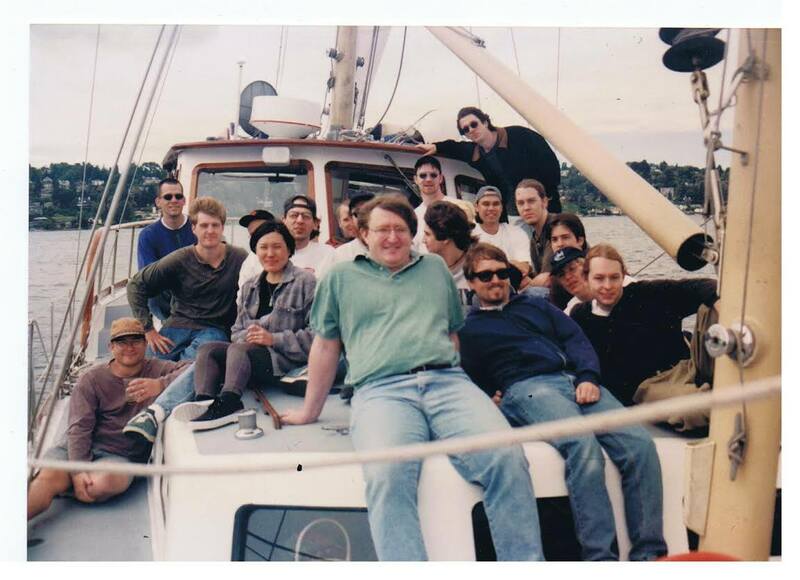 You can also see Half-Life series writer Marc Laidlaw, who also recently retired from Valve sat at the front next to a younger looking Gabe. LambdaGeneration would like to thank Doug for the amazing work he has done on the Half-Life series and wish him the best for whatever comes next in his career. Ted Backman? It isn’t sure as far as I know. You said Doug Wood posted the picture of the Half-Life Steam, are you sure it wasn’t Minh Lee? It would be a little more weird but I know he’s the one who posted it on Twitter. Minh Lee must of mirrored it shortly after. Also, just wanted to pass on my thanks for continuing to run this site even as the game gets older with no sequel. It may fall into obscurity, but you guys are at least keeping the flame alive. Maybe consider doing a piece on HL2RP. It’s a big world. Thanks for your kind words Iceman, that means a lot to everyone involved here. Although there’s a lot of uncertainty regarding the next Half-Life game, the community is still making amazing things which is the lifeblood of what we do. 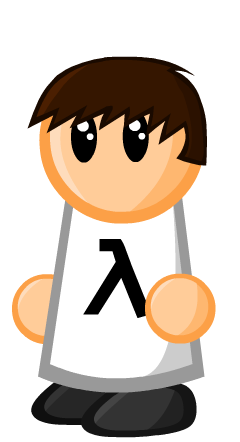 I created LambdaGen because I am a massive fan of the game, it is my life, and that will never go away even if there is no sequel to be seen. I want to make the site the community’s site, as a testament to the amazing work and passion from everyone who still loves and follows the Half-Life series, whatever happens with Valve. Not many comments, but I wanted to pass on some hope for any that might be reading. This is a post directly from the forums over at Facepunch. I’ll let it speak for itself. Or they’re finished. We know it was under development, despite what idiots will tell you. The file that bled into Dota 2 contained references that could only have been made since about June of last year. Not to mention other small leaks about the series. If they’re wrapping it up, and after having worked for so long, stands to reason they’d all retire at the end of development.